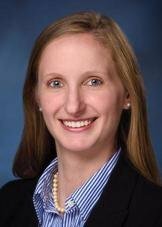 Aurora L. Hardin is a new associate with Knox McLaughlin Gornall & Sennett, P.C. including a Judicial Externship with the Honorable Judge Brian Edwards of the Jefferson County Circuit Court in Louisville, Kentucky. Ms. Hardin interned at two large corporations, served as a student attorney at a law clinic, and clerked at both a small law firm and the Bullitt County Commonwealth Attorney’s Office. She was also a Graduate Fellow at the Legislative Research Commission in Frankfort, Kentucky. She will use all of this experience to serve clients in litigation-related matters. Ms. Hardin joins a team of nearly 40 attorneys who have been providing quality legal services to businesses, governmental entities, nonprofit organizations, insurance companies, financial institutions, individuals and families for 60 years. For more information, please contact Sarah Holland at 814-923-4897 or sholland@kmgslaw.com.